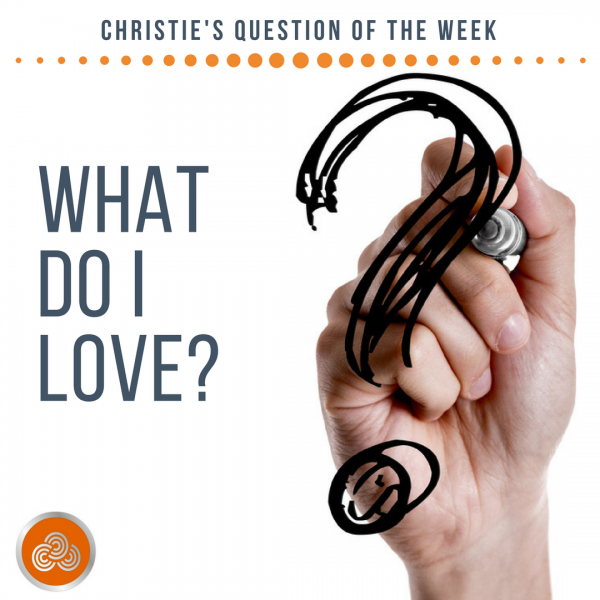 Question of The Week: What Do I Love? As we ready the house for our annual New Year’s Eve party, I am reflecting on the definition of LOVE. What do I love? What do you love? What loves us back? On this day in particular, I’m reminded that I love being surrounded by people who make my life better every day. I love the sounds of laughter and merriment that will fill my house tonight. I love it when my daughter brings friends home from school to spend time with us. These interactions are as critical to my life and success as breathing air. One of my new habits for 2018 is to start each week with a reflection question. For each day of that week, I will write down at least 3 things that come to mind when I ask that question. At the end of the week, I will report back on what I discovered. I’d love to have you join in this with me. Post a comment below and share what you discovered by asking this question each day. This week, my question is What do I Love?